It’s been 30 years since seminal rap collective Public Enemy first exploded into the world with their iconic debut album Yo! Bum Rush The Show in 1987. A uniquely aggressive, politically-charged brand of hip-hop that ran counter to the largely inoffensive party vibes of other rap artists from the same era like the Beastie Boys and Big Daddy Kane. Yo! Bum Rush The Show, and the records that followed it in It Takes A Nation Of Millions To Hold Us Back and Fear Of A Black Planet, became at once one of the defining sounds of East Coast hip-hop as it found its footing in the turn-of-the-decade musical landscape and set the bar and the tone for similarly confrontational and hard-edged groups like N.W.A. and Body Count to follow in their footsteps. Now in the twilight of their careers, it was never a foregone conclusion that Public Enemy’s vocal faces in Chuck D and Flavor Flav would get together for another album after 2015’s fourteenth studio effort Man Plans God Laughs; Chuck currently getting flammable supergroup Prophets Of Rage off the ground for their debut record and Flav having been relatively quiet in the intervening years. 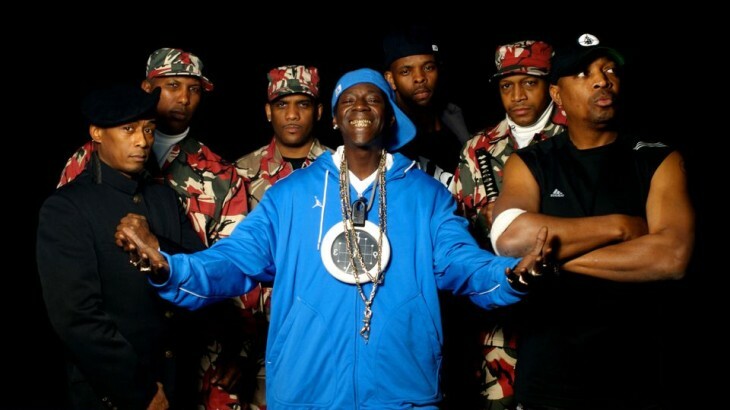 It was a surprise then to receive confirmation of what has heretofore been a secret project from Public Enemy, their fifteenth studio album Nothing Is Quick In The Desert and its official release date next week. There’s obviously little known about the album at this stage, only a confirmation that it exists and a cryptic statement from Chuck D: “The record business is appearing like a desert, but the music has a life if you look at it right.” The feeling though is that it’s going to be as combustible a Public Enemy record as we’ve ever seen. The Independence Day release date is clearly no coincidence, and you can bet that the United States’ deteriorating sociopolitical climate will be a deeply-explored topic. Donald Trump has assumed presidency since PE’s last album and police brutality and racism are still as rife as ever across America. Public Enemy have made a career of lining similar issues right in their crosshairs and never being afraid to pull the trigger and, if what we’ve heard from Chuck D’s involvement with Prophets Of Rage as well as the latest album from their contemporaries in Body Count is anything to go by, expect Nothing Is Quick In The Desert to be hard-wired with truth bombs, the kind whose impact would have been maximised by a shock album drop. Anything less would be a disappointment. It’s unlikely we’ll get a taste of the record before it arrives, reportedly as a free digital download next week, but now seems like no better time for a brand new Public Enemy album and we’ll be waiting on tenterhooks to see what they’ve got in store for the world.